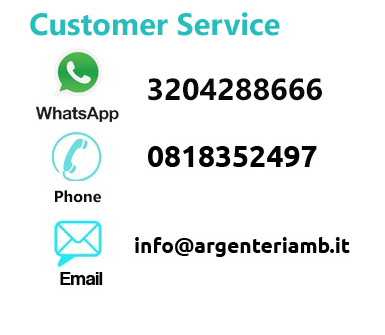 Argenteria MB - Italian Silverware Online Shop - M.B. Argenti di Muscariello A. & C. s.a.s. Foot Shaped Picture Frame with Cat for Baby Girls by Valenti Argenti. The frame is made of PVD Silver. The Photo Size is 4x6'' (cm 10x15). The frame size is 8,26''x9,44''x0,39'' (cm 21x24x1). The back is white wood. 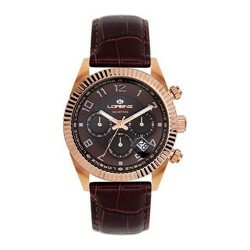 The item is delivered in an elegant gift box with warranty. Foot Shaped Picture Frame with Cat for Baby Boys by Valenti Argenti. 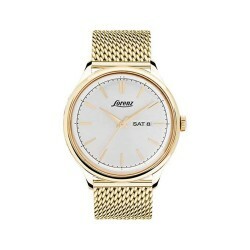 The frame is made of PVD Silver. The Photo Size is 4x6'' (cm 10x15). The frame size is 8,26''x9,44''x0,39'' (cm 21x24x1). The back is white wood. The item is delivered in an elegant gift box with warranty. 925 Sterling Silver Chain Bracelet with Celtic Crosses by Damiano Argenti. Completely non-allergic jewel. The length of the bracelet is 7,87'' (cm 20). Lobster clasp closure. The bracelet is delivered in its Argenteria MB gift box. Handicraft 100% Made in Italy. Pink Gold Plated 925 Sterling Silver Pop Corn Chain Bracelet, Infinity Model by Damiano Argenti. 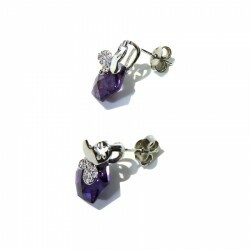 Completely non-allergic jewel. 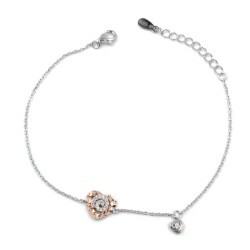 The length of the bracelet is 7,87'' (cm 20). Lobster clasp closure. The weight of the item is 0,12 oz. (Gr. 3,5). The bracelet is delivered in its Argenteria MB gift box. Handicraft 100% Made in Italy. 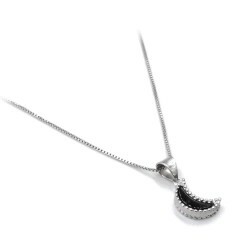 Sterling Silver Necklace with Half Moonshaped pendant made of black onyx and 925 sterling silver by Damiano Argenti. The moon pendant size is 0,39'' x 0,19'' (cm 1 x 0,5). The length of the necklace is 19,68'' (cm 50). Lobster clasp closure. The necklace is delivered in its Argenteria MB gift box. The item is 100% made in Italy. Sterling Silver Necklace with Heart shaped pendant made of black onyx and 925 sterling silver by Damiano Argenti. 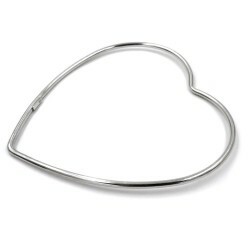 The heart pendant size is 0,39'' x 0,39'' (cm 1 x 1). The length of the necklace is 19,68'' (cm 50). Lobster clasp closure. The necklace is delivered in its Argenteria MB gift box. The item is 100% made in Italy. 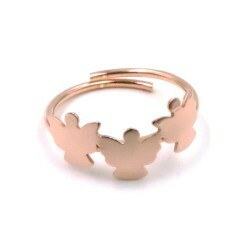 Angels Ring made of pink gold plated 925 sterling silver, Brand Damiano Argenti. The ring weight is 0,05 oz. (Gr. 1,6). This ring is handmade in Italy. The item is finely crafted pink gold plated 925 silver. The ring size is 16 (USA Size 7,5) but it is adjustable. The ring is delivered in its Argenteria MB box. Meter Wall Picture Frame in PVD Silver Disney Baby by Valenti Argenti. You can insert 4 photos 2,36x3,54'' (cm 6x9). The item size is 5,11x29,92x0,39 (cm 13x76x1). Details painted using 3D technology. The back is in white wood. The item is delivered in an elegant box signed Disney with warranty. Silver Picture Frame Glossy Creased Effect by Argenteria MB. Photo Size 7x9' (18x24 cm). The frame size is cm 24,5x30,5.The back is in cherry wood color.The picture frame is usable both orizontally and vertically.The item is delivered in an elegant signed box with warranty. 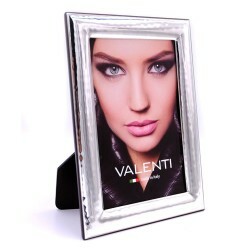 Picture Frame in Silver Glossy Hammered by Valenti Argenti. Photo Size is 4x6'' (10x15 cm). The frame size is cm 13,5x19,5. The back is in Wengè wood color. The picture frame is usable both orizontally and vertically. The item is delivered in an elegant signed box with warranty. 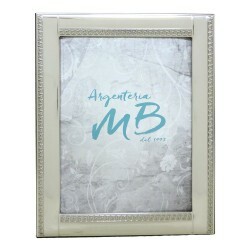 Silver Picture Frame Glossy Empire Style by Argenteria MB. The back is in cherry wood color.The picture frame is usable both orizontally and vertically.The item is delivered in an elegant signed box with warranty. Handicraft 100% Made in Italy. 925 Sterling Silver Hammered with Edge Photo Frame by Argenteria MB. Photo Size 4x6'' (10x15 cm). The frame size is 5,5 x 6,8 x 0,39'' (cm 14x17,5x1).The back is in cherry wood.The picture frame is usable both orizontally and vertically. The item is delivered in its box with warranty. Handicraft 100% Made in Italy. 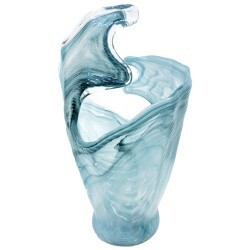 Blue Murano Glass Vase, Model Waves by Tammaro Home. This vase is produced following the Murano's masters techniques. The vase has a design 100% Made in Italy. The basis diameter is cm 13, the superior diameter is cm 22 and the height is cm 33. The item is shipped carefully packed in its box with warranty. 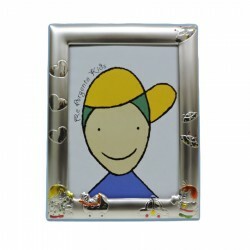 Picture Frame in Silver Glossy Creased Effect by Argenteria MB. Photo Size is 5x7'' (cm 13x18). The frame size is cm 18x23. The back is in cherry wood color. The picture frame is usable both orizontally and vertically. The item is delivered in an elegant signed box with warranty. Silver Picture Frame Baby Bear by Argenteria MB. The Photo Size is 5'' x 7'' (cm 13 x 18). The frame size is 6,69'' x 8,26'' x 0,39'' (cm 17 x 21 x 1). The back is blue. The item is delivered in its box with warranty. Handicraft 100% Made in Italy. Red Murano Glass Vase, Tide Iris Model by Tammaro Home. This Vase is produced following the Murano's masters techniques. The Vase has a design 100% Made in Italy. The basis diameter is 3,5'' (cm 9), the superior diameter is 10,23'' (cm 26) and the height is 13,77'' (cm 35). The item is shipped carefully packed in its box with warranty.